If you're loving your new car, you're not alone. Whether it’s the sleek look, the purring engine sound or the brand-new-car smell, there’s nothing quite like the experience of driving an automobile straight off the showroom floor. And according to a recent survey, unused vehicles are as popular as ever with the consumer buying public. When assessing new-car satisfaction on a 1,000-point scale, J.D. Power and Associates’ most recent Automotive Performance Execution and Layout Study reached 810, per the global marketing information services company’s latest report. That’s a nine-point increase compared to the 2016 APEAL poll, on par with the most significant year-over-year gain in the study’s history. Perhaps unsurprisingly, given their aesthetic allure, luxury vehicles were among the most favorably scored automobiles. These included the BMW 2 Series, Porsche 911 and Porsche Macan. Indeed, 2017 makes it 13 years in a row that the Stuttgart Germany-based automaker ranked highest in overall APEAL quality, with other luxury nameplates also scoring well, such as BMW, Audi and Mercedes-Benz. Dave Sargent, vice president of J.D. Power’s automotive division, indicated that manufacturers are getting good at knowing what floats buyers’ boats, as it were. Among the reasons why, Sargent went on to say, is due to the fact that standard passenger vehicles today have a lot of the accouterments formerly found almost exclusively in premium automobiles. This includes entertainment and safety technologies, like brake assist, blind spot monitoring and automatic parking capability. If you have a new car, you’ll want to make sure it’s fully protected with comprehensive coverage. 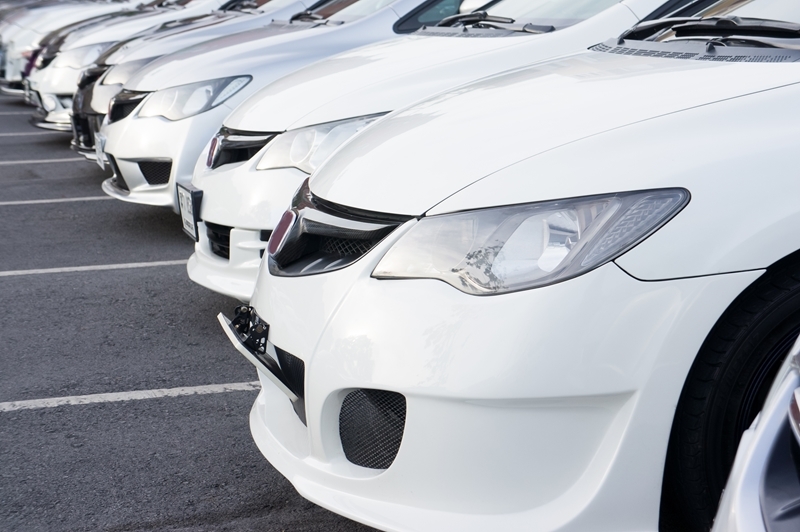 Motorists have a binary option when it comes to car ownership: new or used. Regardless of which they choose, auto insurance is a necessary purchase. Because new cars typically costs more than used or pre-owned, the natural inclination is to suspect that insurance premiums are higher as well. However, this isn’t the point of car insurance. It’s better to find the right type of car insurance rather than the one that’s the least expensive. The Insurance Information Institute says several questions should be asked before determining the proper policy. One of which is assessing just how much you “love” your vehicle. As the APEAL survey indicates, many motorists couldn’t be happier with their brand new set of wheels. If this is the case for you, then you’ll want to get the most comprehensive policy possible so that you’re fully covered in case of an accident. Liability insurance is the form of insurance most states require. Comprehensive is optional. It’s a smart option for new-car lovers because the policy helps pay for a variety of worst case scenarios, like theft, fire and vandalism, which aren’t covered under liability. If you drive a lot, this is another reason to maximize your auto insurance protection, according to the III. No two ways about it, if you drive your vehicle frequently, there’s a bigger chance that you may run into issues that will necessitate making a claim. What’s considered “a lot”? There’s no hard-and-fast rule, but the III says that between 500 and 1,000 miles a month meets the definition. Check out the III’s list for other questions to ask before deciding on the best policy. At PayneWest Insurance, we specialize in customization by leveraging our experience to help ensure you find the right policy based on your automotive comings and goings. Plus, we do it at the right price.